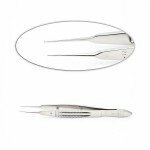 Millennium Surgical Corp. offers surgical instruments made in America. 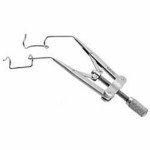 Our U.S. vendors employ more than 500 people producing instruments for general, ophthalmic, micro, and laparoscopic surgeries, sterilization cases, and more! 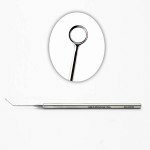 Most vendors work with raw materials entirely of US origin and manufacture 100% of their instruments right here in the U.S.A. 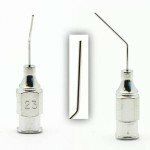 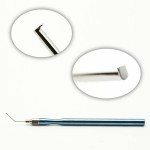 They are competitively-priced, of the highest quality, and your purchase of these instruments supports American industry. 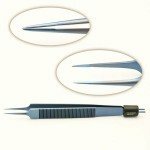 Look for the Made in the USA stamp on your next instrument delivery and thank you for supporting the U.S.A.
Instruments from this manufacturer include bipolar forceps for tubal ligation, retractor holding and positioning devices and extra-long rigid endoscopes for use in bariatric procedures, standard laparoscopes, and accessories. 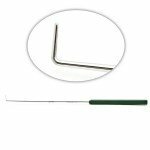 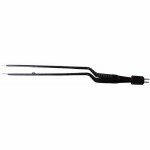 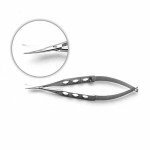 This manufacturer has three decades of experience making ophthalmic micro-suture forceps and utrata forceps with a staff of 10. 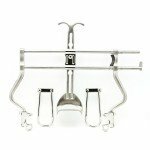 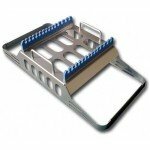 Made of the best quality steel and the best possible finishing services, extending the life of the instrument. 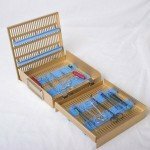 100% of the raw materials are sourced in the U.S.A. 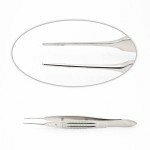 This manufacturer has nearly 100 years of experience in surgical instrument manufacturing, producing general surgical hand-held and self-retaining retractors, ring retractor systems, and orthopedic retractors such as initial incision and hohman-type retractors. 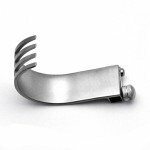 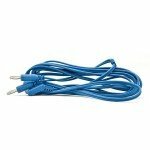 We work closely with this manufacturer to modify existing instruments and create custom instruments and retractors that are discontinued by other suppliers. 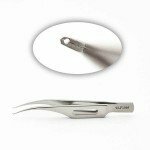 They employ approximately 20 people and source 80% of their raw materials from the U.S.
Extensive line of bipolar forceps for use in ophthalmic, micro-surgical, hand, ENT, spine, and neurosurgical procedures. 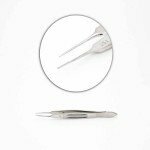 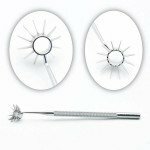 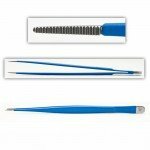 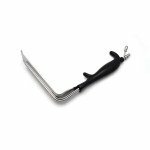 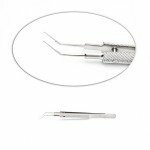 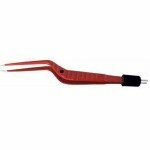 Specialty forceps, which include non-stick tips, are available for use in MIS spine procedures. 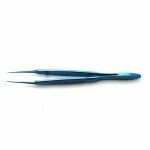 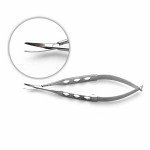 Forceps with irrigation are available for use in neurosurgical procedures. 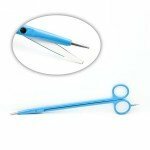 This manufacturer even has a new line of sterile, single-use forceps. 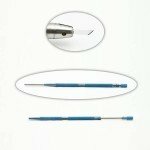 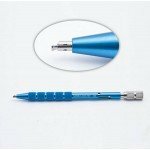 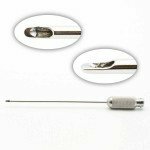 Top-quality manufacturer of eye surgical instruments including cannulas, irrigation and aspiration handpieces, micro hooks, nucleus manipulators, phaco choppers, spatulas, suture and tying forceps, Utrata forceps, specialty forceps, and micro surgical needle holders. 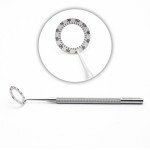 This manufacturer has been in business for 30 years, employs 20 people and sources 75% or more of its raw materials from the U.S.
Surgical aspirators for use in liposuction and infiltration pumps used in tumescent procedures. 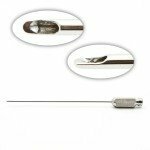 Large offering of standard lipo cannulas, micro infiltration cannulas, handpieces, and custom cannulas and needles. 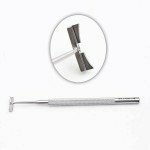 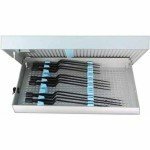 Diamond knives and diamond blades for use in ophthalmic procedures. 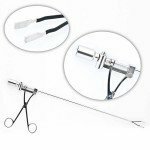 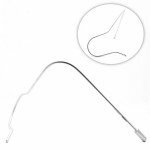 Xenon light sources, surgical headlights and cables for use in specialty surgical procedures including spine, neurosurgical, ENT, and plastics. 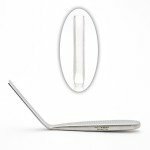 This manufacturer has been in business for nearly 25 years, employs 40 people and sources most of its raw materials from the U.S. Ninety five to 100% of its products are manufactured entirely in the U.S.
Surgical and diagnostic ophthalmic lenses for use in the surgical field or with a slit lamp. 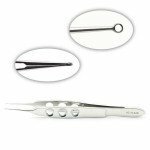 Lenses for use in general ophthalmic, cornea, and retina procedures. 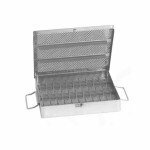 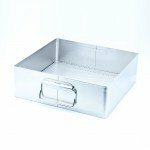 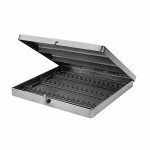 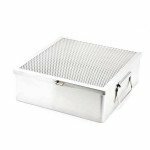 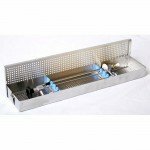 Open surgical instrument trays for general surgery, micro surgery, and specialty surgical instruments. 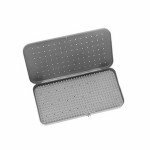 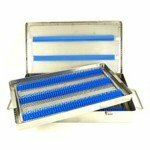 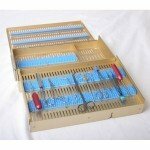 Extensive line of micro surgical instrument trays for use with Ophthalmic, Microsurgical, or Cardiovascular instruments. 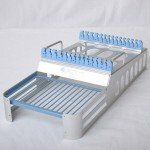 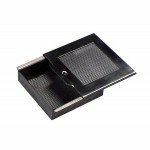 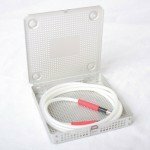 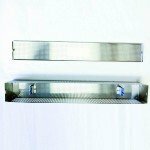 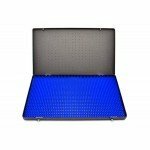 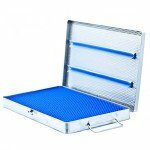 Trays to protect laparoscopic instruments and rigid endoscopes. 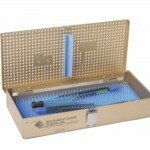 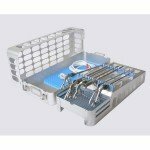 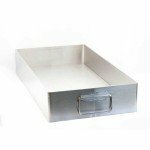 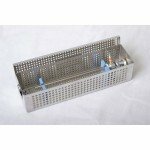 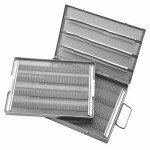 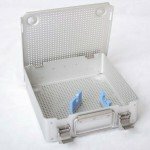 General instrument trays for larger surgical instrument sets including general surgical and orthopedic.